Our purpose built balloon unit in our shop displays 168 different types of 12" balloons, from solid colors, standard matt , metallic or pearlized balloons to themed balloons and a huge variety of speciality foil balloons including foil character balloons in a variety of themes and sizes and mini foil balloons pre inflated on a stick, we can advise you on balloon bouquet combinations to suite your theme for that wow factor! For weekend balloon orders, please come in to the shop and select your combination during the week so that we can have your order ready for you on busy weekend days to avoid waiting when you have a party to get to. 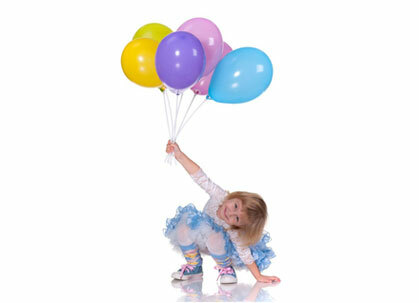 For orders larger than 50 balloons, please order a week in advance. If there is a specific theme or colour that you are after and don’t see it in the shop, please ask us and we will be most happy to order it in for you! For more information or to order these products, visit our shop or contact us.